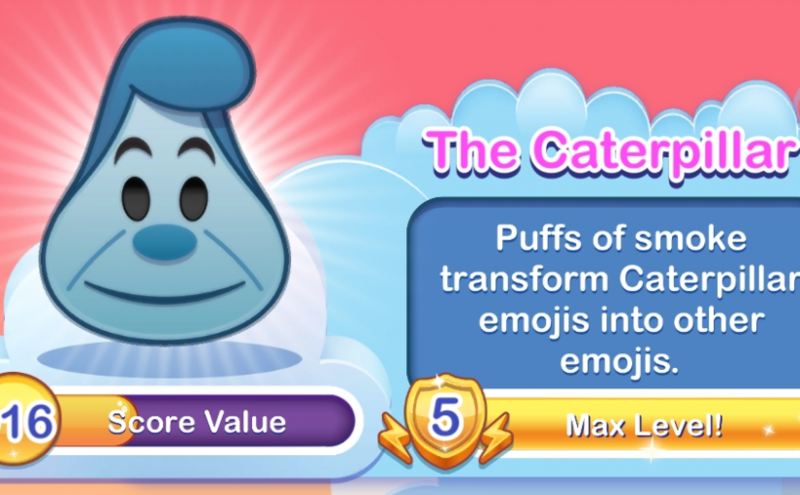 Puffs of smoke transform Caterpillar emojis into other emojis. Paint the roses red to clear more emojis with help from the playing card guards! The Queen of Hearts is ready to blow her top! 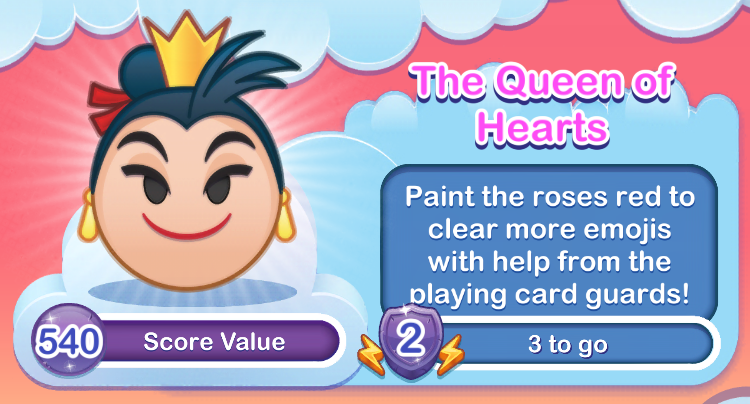 Quickly paint the white roses red by tapping them before the time runs out. If you can paint them all, the playing card guards will clear emojis from the center of the board. 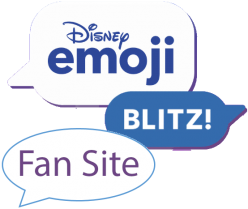 Shuffles emojis to their new places at the Mad Tea Party! Clean cup, clean cup! Move down! The Mad Hatter shuffles emojis around the board.